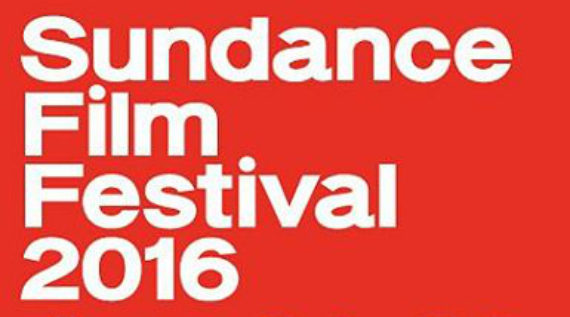 Monday Memo: Sundance! Oscar! IDA Awards & More! Barely a week into December and the holiday/award season goodies are already being handed out in mass! While both the Los Angeles Film Critics Association and the National Board of Review named AMY the best doc of the year, the New York Film Critics Circle begged to differ by giving the title to a film close to their hearts (and zip codes), IN JACKSON HEIGHTS. As reported by Andrew Pulver of The Guardian, Ross A. Lincoln of Deadline, and various Hollywood Reporter staffers, Joshua Oppenheimer’s heavily favored THE LOOK OF SILENCE took home the prize for best doc early in the week at this year’s Gotham Independent Film Awards. And to continue the diverging chorus of opinions, Judith Dawson and Louise Osmond’s crowd pleasing DARK HORSE was named best doc at this year’s British Independent Film Awards. Amidst this hail of honors, the International Documentary Association Awards also celebrated their 31st edition, naming THE LOOK OF SILENCE as the best doc feature, alongside a lengthy list of deserving honorees. In the wake of the announcements, a flurry of discussion as taken place in pieces from Rebecca Keegan in The Los Angeles Times, Nigel M. Smith of The Guardian, Variety’s Kristopher Tapley, Scott Feinberg in The Hollywood Reporter and Realscreen’s Manori Ravindran. 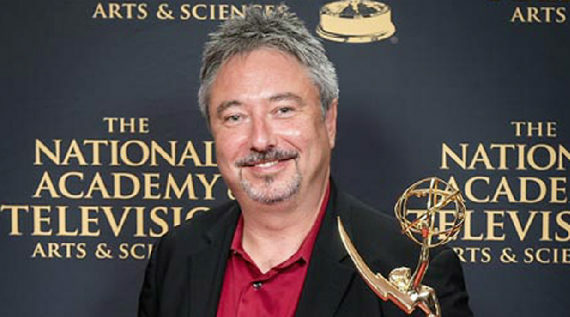 In tandem with the IDA Awards, IDA executive director Simon Kilmurry briefly appeared on KCRW to discuss the state of documentaries. 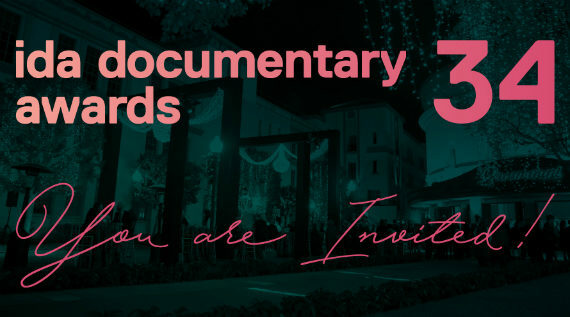 Meanwhile, the Academy of Motion Picture Arts and Sciences released their 15 film Oscar shortlist for documentary feature, including most of the expected contenders, including 11 films previously programmed as part of DOC NYC’s Shortlist section. Stephanie Goodman singled out AMY and THE HUNTING GROUND as forerunners in her report of the announcement in The New York Times, while at the POV Blog, Tom Roston aptly commented on the inclusion of 3 1/2 MINUTES, 10 BULLETS and WE COME AS FRIENDS, and the blatant snubbing of MONTAGE OF HECK and THE WOLFPACK. At indieWIRE, Anne Thompson and Peter Knegt revealed their predictions for the final 2016 Oscar contenders. With eight films on this year’s Oscar shortlist having had their world premieres at Sundance earlier this year, it’s no secret that Park City has become a major springboard for non-fiction fare. 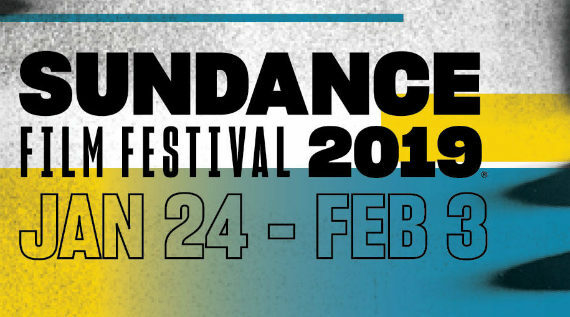 So, despite all the excitement about awards, it was the Sundance Film Festival‘s revealing of their 2016 competition titles that sparked the most interest this week from critics and doc lovers alike. In his piece in The New York Times on the annoucement, Brooks Barnes riffs on this idea, noting that “Sundance, coming up on its 32nd installment, has long served as a launching pad for documentaries. TWENTY FEET FROM STARDOM, which went on to win the 2014 documentary Oscar, was first seen in competition.” Sandy Cohen of The Washington Post and Realscreen’s Kevin Ritchie reflected on the festival’s lineup, while indieWIRE’s Eric Kohn and Kate Erbland listed “9 Hidden Gems from the 2016 Sundance Lineup,” singling out a pair of docs, including the anonymously directed HOLY HELL and Robert Greene’s KATE PLAYS CHRISTINE. Mixing things up a bit, the British publication Little White Lies published their top 20 of the year and included Joanna Lipper’s THE SUPREME PRICE and Kim Longinotto’s DREAMCATCHER, along with THE LOOK OF SILENCE. Laurie Anderson’s HEART OF A DOG cracked the top 10 of Eric Kohn‘s Best 15 of 2015 at indieWIRE. Having hit theaters this past weekend, Kent Jones’ cinephilic sugar rush HITCHCOCK/TRUFFAUT was the much heralded champion. 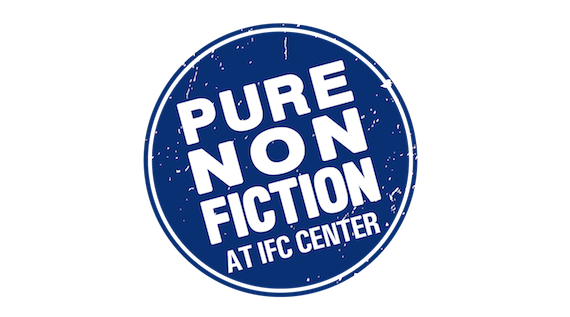 The film was selected by our own Thom Powers and Raphaela Neihausen as WNYC’s Documentary of the Week, as well as by Jonathan Romney for Film Comment’s Film of the Week. Veronika Ferdman reviewed the film for Move Mezzanine, as did Joshua Brunsting for Criterion Cast, and Odie Henderson for RogerEbert.com. Furthering the discussion, Film Linc Daily posted a conversation between Noah Baumbach and Kent Jones about the film, and MUBI’s Notebook published an interview with the director and Amir Ganjavie. Additionally, The Washington Post pubished a piece by Michael O’Sullivan on PEGGY GUGGENHEIM: ART ADDICT, Martin Tsai reviewed both BIKES VS CARS and ROCK IN THE RED ZONE, and Susan King wrote a short feature on INGRID BERGMAN: IN HER OWN WORDS for The Los Angeles Times. William Fairman and Max Gogarty’s CHEMSEX nabbed a review from Peter Bradshaw in The Guardian, while Huck Magazine published an interview with Gogarty by Alex King. The Guardian also ran Carmen Gray‘s feature on Vitaly Mansky’s North Korean propaganda exposé, UNDER THE SUN, which just won the award for Best Director at the Estonian Black Nights Film Festival according to Cineuropa. Lastly, Christopher Campbell gave a strong recommendation of ALMOST THERE at Nonfics, while Rachel Cooke wrote at length on LOVE YOU TO DEATH: A YEAR OF DOMESTIC VIOLENCE at The Guardian. This week also saw the announcement that four documentary features would receive the first ever AFI DOCS/NBCUniversal Impact Grants, including Jessica Jones and Blair Foster’s THE CONVERSATION, Greg Whiteley’s MOST LIKELY TO SUCCEED, Scott Christopherson and Brad Barber’s PEACE OFFICER and Chris Temple and Zach Ingrasci’s SALAM NEIGHBOR, according to reports by Karen Brill at indieWIRE and Daniele Alcinii at Realscreen. On the streaming side of things, Op-Docs published the latest in their CONVERSATIONS ON RACE series, this one by Michèle Stephenson and Joe Brewster titled A CONVERSATION WITH BLACK WOMEN ON RACE. Tambay A. Obenson linked to the whole series via indieWIRE for those looking for the earlier pieces in the series. Vanity Fair published a chilling new short by Scott Calonico on the Reagan Administration’s response to the AIDS crisis called WHEN AIDS WAS FUNNY, which was also written about by Caitlin Gibson in The Washington Post. At Nonfics, Daniel Walber pointed out the fact that the Canadian Broadcasting Corporation is currently hosting Beryl Fox’s groundbreaking Vietnam doc, THE MILLS OF THE GODS: VIET NAM, for free online viewing. POV noted that 9 of their films will become available for streaming this month, including POINT AND SHOOT and GIRL MODEL. And lastly, Wil Barlow of indieWIRE reports that Field of Vision will be releasing a 4 part series on Greece’s 2015 confrontation with the European Union called #ThisIsACoup. 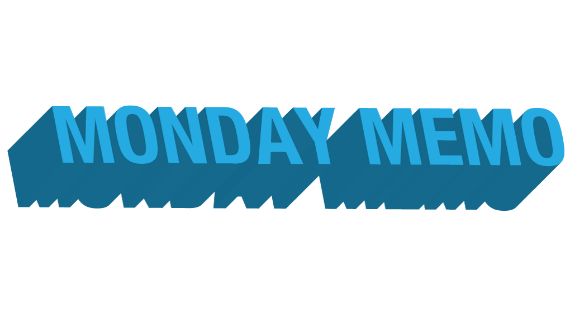 Until next week, if you have any tips or recommendations for the Memo, please contact me via email here, or on Twitter, @Rectangular_Eye. I look forward to hearing from you!